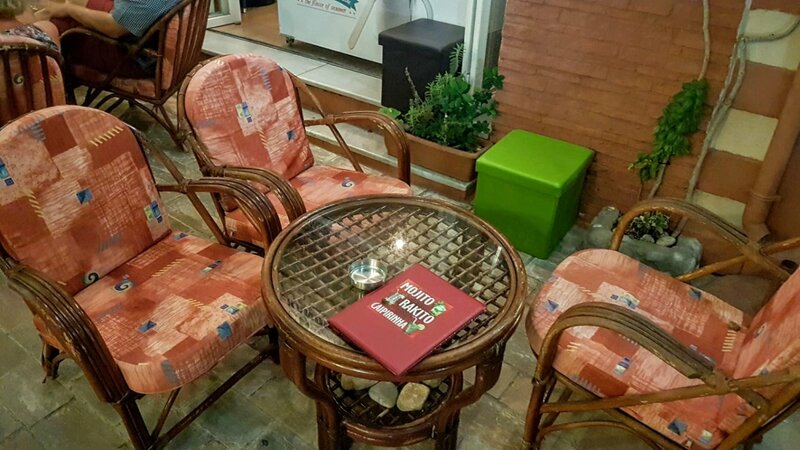 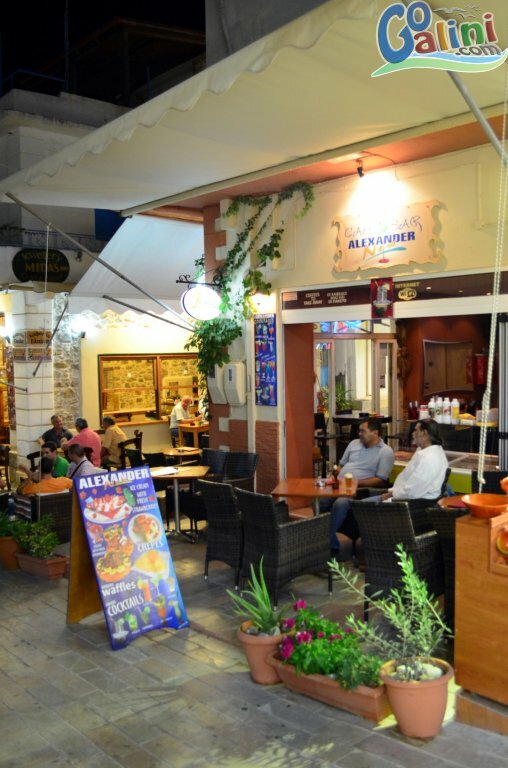 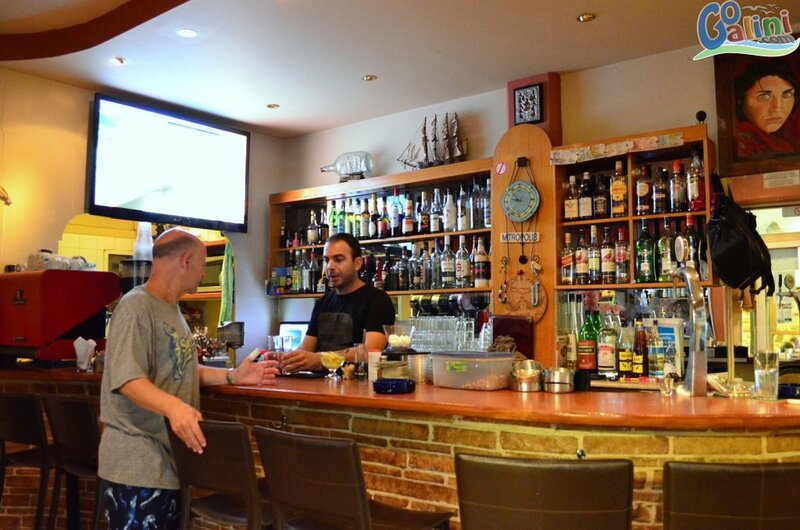 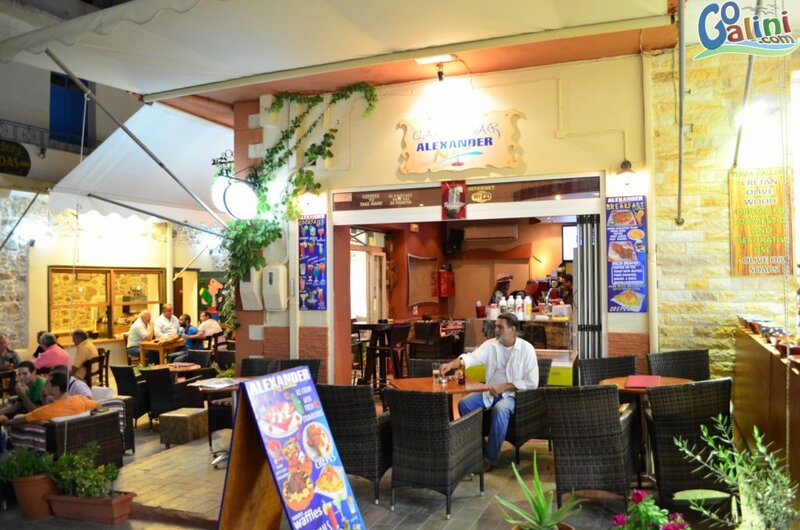 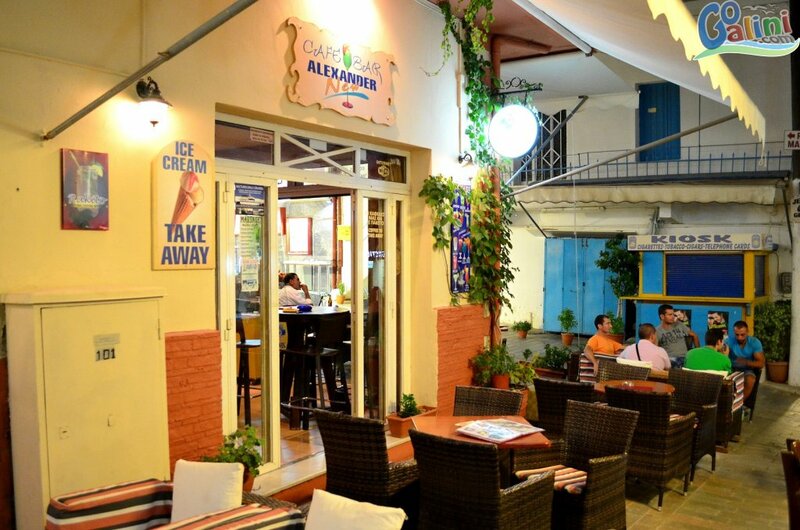 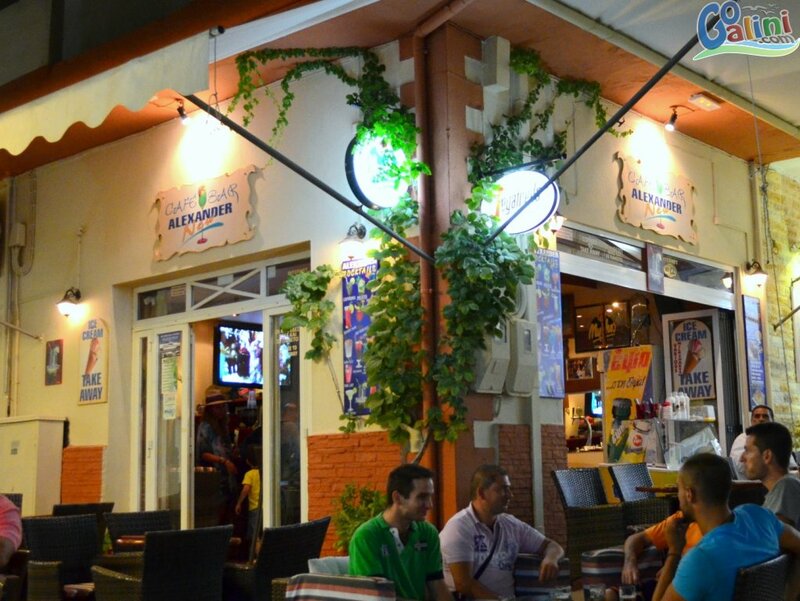 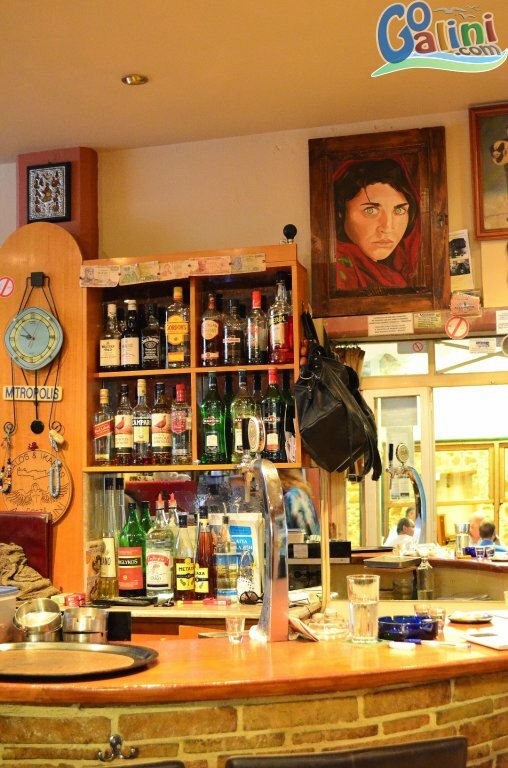 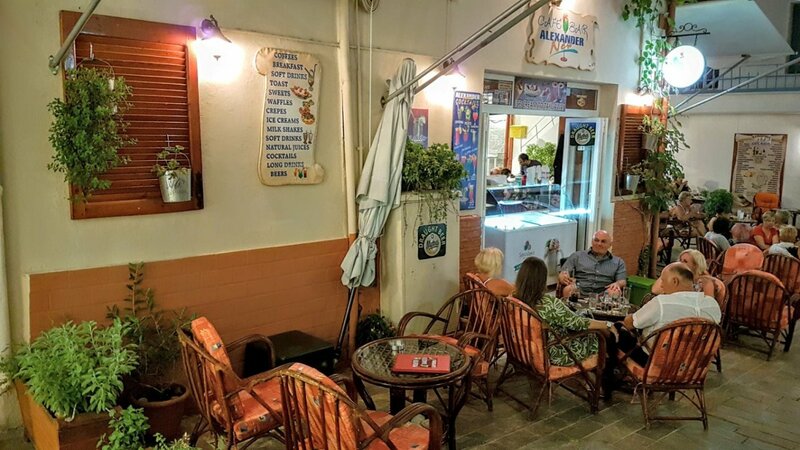 Alexander New Cafe is located in the center of the Agia Galini, on the corner of the crossroad of agora street and the small street towards the port. 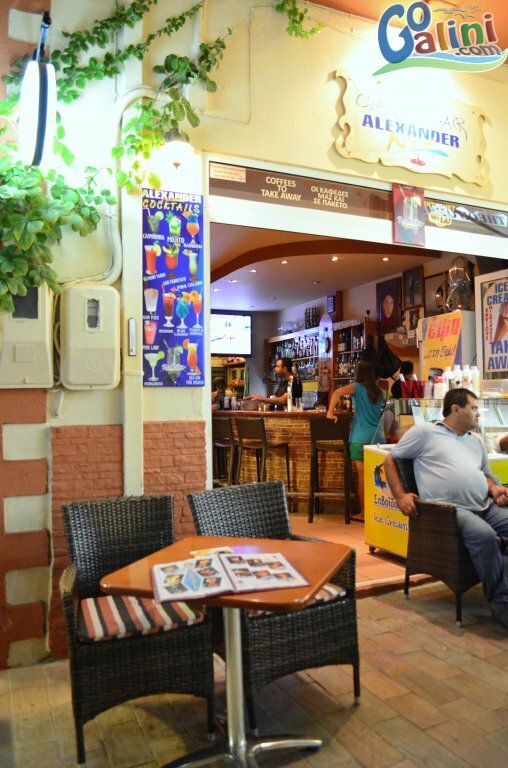 Enjoy your coffee or breakfast in the morning in a cool and quiet environment, in the noon you are always welcome to have an ice cream or a snack like waffle & crepe. 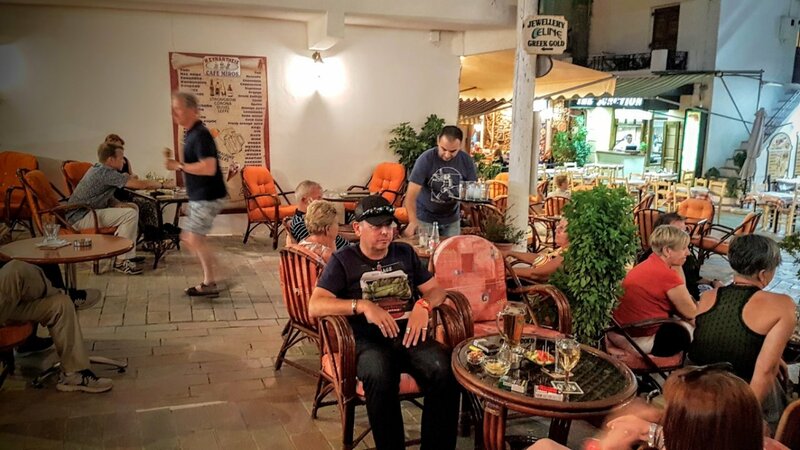 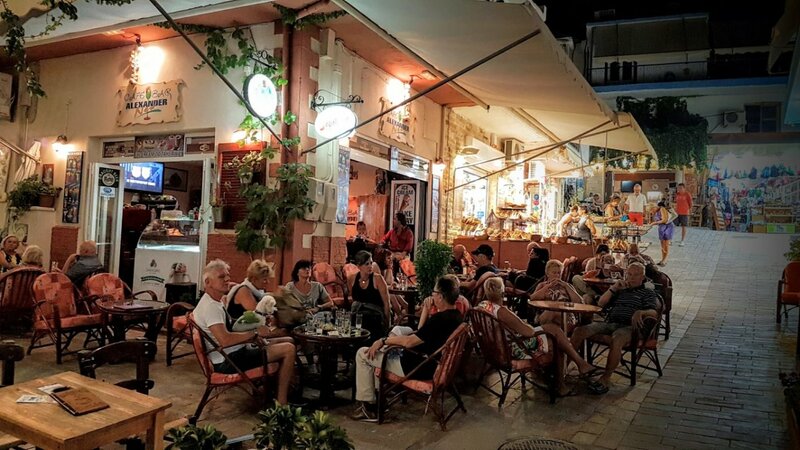 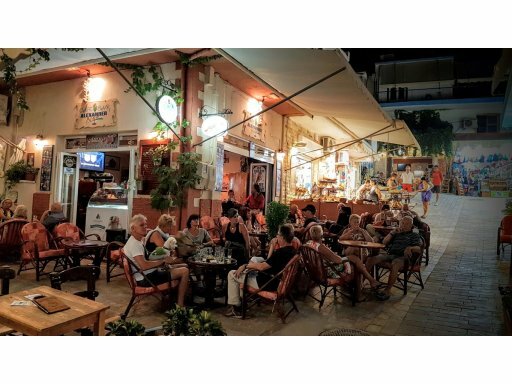 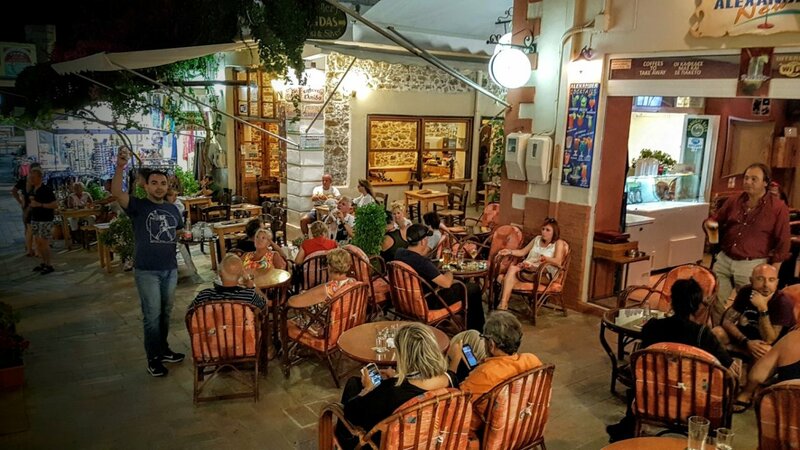 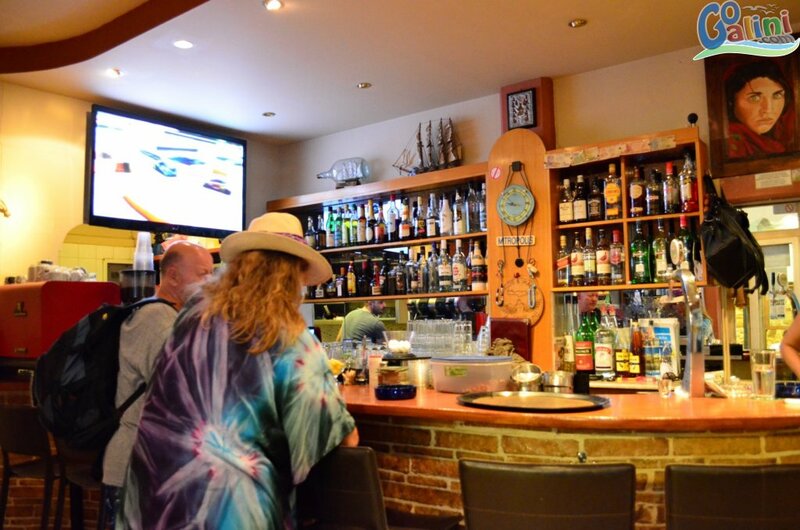 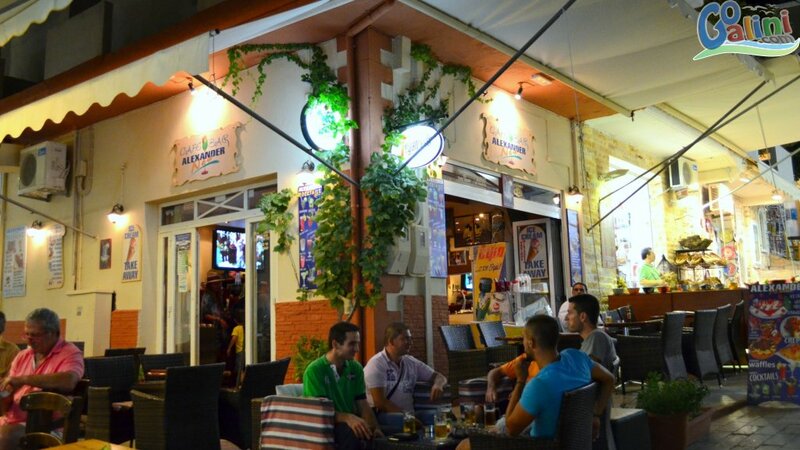 In the evening the center of Agia Galini is quite popular among visitors and locals and Alexander cafe offers a nice friendly environment to enjoy a drink, raki with cretan tapas or a cocktail while watching the lively crossroad.